Amaorican: Sore hand, great technology. As of today, my hand isn't numb anymore and I feel every tap, intended or unintended, that my finger makes. Schools out for the first term as of Friday last week. That's two long weeks with holidaying children. One of my younger cousins received her mission call today and made an occasion of it via family home evening tonight. 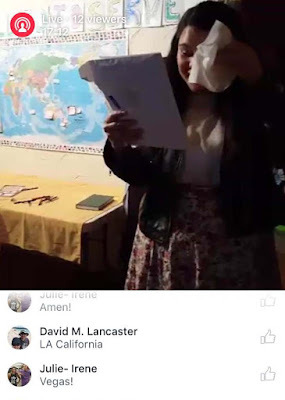 It was pretty amazing that we were able to tap into the live stream and share with her the opening of the letter. She's heading to the Manila, Philippines mission sometime in July. Of my 34 first cousins on that side of the family, she's the second to go. Technology is amazing and that's not because I'm an avid Geeks.com follower, but because I can keep in contact with importants and loved ones around the world with the tap of my hurt finger.